So, now we need the actual code to work with. So, if we go back to our resource pack directory, what we'll do is copy this eight step, which is called site-adding-pages-crud, which is in the fifth folder called Building a CMS. And this includes the addition of the CRUD script for our pages as well as some additional changes that we'll go over. So, let's copy this, I'm going to right click and copy. And then over in our site folder, let's rename site to 07. site and we'll just keep it around. And we'll paste in our new folder. And just like we have before, we'll rename this site. Now if we expand this folder, and we take a look at our pages structure, and we look under admin, we see that there's now a pages page here. Now, let's give this a quick demo by creating a page. I'll go back to the browser and we'll go back to our site and click the My Account link at the top and we see now we have a new link called administer pages. And if we click this, we can now click add page, and now we have a title, path, content and the link that says add item. So, let's just add a test page. We'll type in test. We'll have the path be test as well and the content we'll say, "Hello, world!" And let's add the item. Okay. So, now we see our page listed here. Now, if we actually wanted to go to this page, we could simply type test as the path after the site folder here and sure enough we see our Hello, world! here. So, we've just created our first page completely dynamically without having to touch files or the database directly. Let's do one more test by converting one of our existing pages over to a database based page. Now, we've added some code in our index. php file that will allow us to pull from a file or to pull from the database to load the content for a page. And the way it does this, is it checks to see if a file already exists in the pages folder. So, in order to replace one of our pages and we're going to replace the about page, we need to rename that into something other than about. 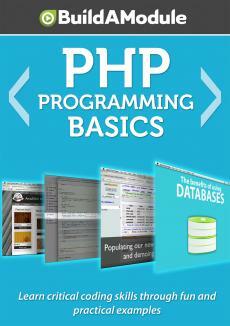 php. And then we need to create our new page in the database, we want to make sure that the path there is identical so that it reads about. php even though we don't need that PHP extension now. Let's go back to our page adding dialog. I'm going to click My Account and then administer pages, and then add page again. Now, let's open up our about page in our pages folder.